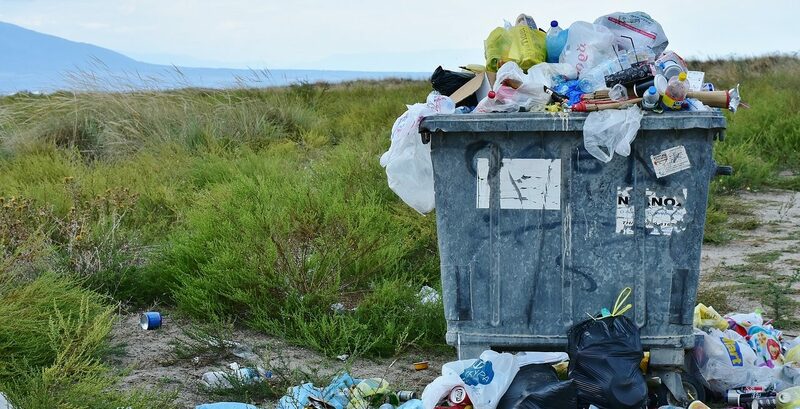 The impact that waste is having on the environment has been heavily covered by the media, and the public is more cautious and concerned about the matter as a result. This attitude reflects in their buying habits, and consumers want to see businesses doing more to manage their waste. Hotels produce 289,700 tonne of waste each year, including 79,000 tonnes of food waste (nine percent total food waste from the sector). Pubs produce 873,800 tonnes of waste each year, including 173,000 tonnes of food waste (19 percent total food waste from the sector). Restaurants produce 915,400 tonnes of waste each year, including 199,100 tonnes of food waste (22 percent total food waste from the sector). Other hospitality sectors’ food waste contributions: quick service restaurants (8.3 percent), staff catering (two percent), leisure (seven percent), services (three percent), healthcare (13 percent) and education (13 percent). The issue is a worldwide one. The National reported on the issue of food waste in Dubai, with the problem being particularly fuelled by hotels and restaurants wasting ingredients on over-the-top portions. Over in Egypt, Al-Monitor revealed that larger supermarkets in Egypt are wasting 20 percent of produce due to insufficient storage facilities. The news outlet also reported that, like in Dubai, the issue of food wastage from hotels and restaurants is also particularly problematic in Egypt. Buffet-style offerings can reuse and recycle food not taken, but many customers “have the habit of piling their plates”, says Egyptian Food Bank CEO, Moez El Shohdi. Anything uneaten on the plate goes in the bin. What can the hospitality industry do to begin to tackle the matter? We asked skip hire and waste management experts Reconomy, to investigate the various processes that are being implemented throughout the hospitality sector to tackle waste heading to the landfill. As part of its strategy against food waste, JD Wetherspoons has enlisted the aid of FareShare, who focus on redistributing waste food. SHD Logistics reported on the matter, saying that the food donated by the pub chain is surplus after a recent menu shake-up, or food that has had its outer cases damaged. While not problematic for the food itself, it isn’t cost-effective to make it commercial-viable again. Indeed, using waste food instead of condemning it to the landfill has proven successful. The Real Junk Food Project is a UK-based global movement with the goal to “abolish surplus food. This is achieved by intercepting food waste from a variety of places, such as hotels and restaurants, and using it as ingredient to prepare and serve in its many cafés and pop-up stalls across the country. The Real Junk Food Project also runs a “Pay As You Feel” scheme – basically, you pay what you want. You can part with your money, or your time by helping as a volunteer if you want to. The aim is to make sure everyone has access to a meal, which everyone could, if this usable food doesn’t go to landfill. The project has seen such progress that it has now opened sharehouses for excess stock, made available for the public to pick out what they want to cook at home. Again, customers pay nothing or something, money or time. As a worldwide issue, the "Pay As You Feel" notion is also working across other countries. Over in New Zealand, Nic Loosley has opened a Pay As You Feel restaurant called Everybody Eats, where visitors can enjoy a three-course meal prepared from food headed to landfills. The food would only have gone to waste otherwise and is better used to help feed those who might not be able to enjoy a meal otherwise. According to Loosely, around a third of people do leave money for the meals. Local produce is a firm favourite for many consumers, but have you considered making your local produce even closer to your company's kitchen? Forbes revealed some of the ways the eco-hotel and spa, Six Senses, maintains luxury with sustainability. From villas built to stay cool, to air conditioning that turns off if the doors are opened, Six Senses have thought of everything when it comes to embracing balance. The company makes use of a garden area near the hotel's kitchen as a means to access the freshest ingredients. The garden is tended to without synthetic chemicals and is fed with recycled water. Any hotel or restaurant with the capacity to do so should look into planting a garden for its kitchen use, even if it is just a small herb garden — any small change can reduce the need potentially over-purchase from a supplier. It's pretty eco-friendly to serve water in reusable glass bottles, as Six Senses do, but they have made the process even more green. The company actually treats, purifies, and mineralises its own water! Is it just food that’s the problem? When it comes to the waste generated by the hospitality sector, food is just one part of it. BRITA UK conducted a study, titled The Planet Around You: How Hospitality Businesses Are Addressing The Sustainability Challenge. In the publication, it was noted that 70 percent of businesses are currently looking to cut down on single-use plastics, like straws and water bottles. Plus, 64 percent of consumers said they would likely return to a shop with the intent of making a purchase, if they could refill their water bottle. “[There is a] need to help turn the harmful tide of plastic waste and little from single-use plastic bottles,” she said, “which is damaging the marine environment and blighting our streets.” The councillor went on to say that pubs and cafes could do their part by offering free drinking water to everyone, not only customers, by signing up to an initiative such as Refill. There’s more than just plastic bottles to consider too. USAToday revealed steps a number of hotels are taking in an active attempt to lower the use of plastic. From the Hilton vowing to remove all plastic straws from its hotels by the end of 2018, to the Marriott replacing the individually offered toiletries with reusable dispensers, no one is resting on their laurels. Taking a look at airlines, United Airlines recycled 13 million pounds of plastic and other materials in 2016, and Alaska Airlines are currently in the process of replacing plastic stirring sticks with white birch stirrers. Over in the fast food sector, McDonald’s have chosen to remove plastic straws from use at their restaurants. What plastics are being used at your restaurant? Is it possible to swap them out for more environmentally friendly items? According to BRITA UK, over 40 percent of hospitality firms actively want advice on being more sustainable. If you are one of these businesses, reach out to Reconomy for advice. Could you offer water refills, or switch out plastic single-use bottles to alternatives? What can you do today to avoid leaving a mark on landfills? 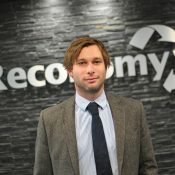 Richard Walker who is the Marketing Manager at Reconomy.